Great job, 3D. If your story eventually turns into a full commercial game, I will certainly buy it. I want to thank all those who participated in reading and voting in the contest and all those who gave me their vote of confidence. It was a lot of fun! Thank you, Candle, for moderating the contest and thank you, Zenoc, for being a most formidable contestant. 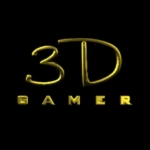 reneuend wrote: Congratulations, 3DGamer! Your story was fun to read....now we just need the game! Thank you very much, reneuend. If I get enough interest, I wouldn't mind doing one or two puzzles from one of the scenes. Right now, you count as one vote. Zenoc2 wrote: Great job, 3D. If your story eventually turns into a full commercial game, I will certainly buy it. Thank you, Zenoc. I have another game that I have been wanting to do so I will probably work on that first, but this one is definitely on my list to do. But again, I won't mind doing a puzzle or two from it, so if you want, I can count you as vote two. For all those who voted for my story after the contest ended, thank you for your continued support!